Just like everything else this year, time is passing before my eyes so much quicker than I would like. Piglet is now eight months old and whilst there are days when I feel as though she was never not part of our family, there are still the times when I’d like to press pause and keep her small forever. She is changing so much with each day, and I find myself sitting looking at her and wondering how lucky we are to have her as part of our little family. She is by far the cheekiest of the three, the explorer, the wild one and her little personality is starting to shine through. With the warmer weather, we decided to get a ball pit for her to sit and play in whilst the older ones are running around the garden etc. 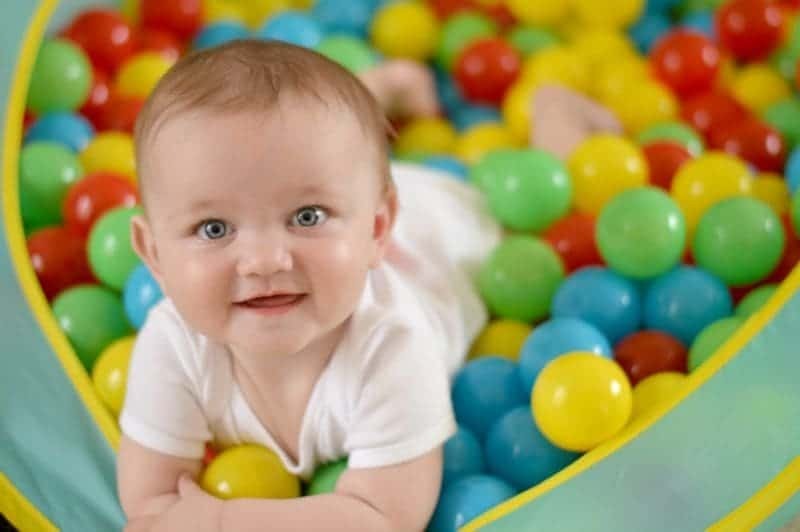 Not content with sitting and playing, she likes to lean over the edge of the ball pit and watch as the balls cascade out before she makes a bid for freedom by rolling out it. She is now able to sit up by herself for longer periods of time, however, when she gets herself excited she forgets and throws herself backwards (thank goodness for cushions). Whilst she has perfected the art of crawling she is commando crawling when there is something in her sights that she wants, otherwise she is still rolling at high-speed across the floor. Weaning is still very much in the early days, which has caused me to worry as to whether I should be doing more to encourage her. Thankfully are speaking to some fellow blog baby mums I feel more at ease that she isn’t too fussed by food and that she is content with her milk at the moment. That being said she’d jump on you for a Wotsit or two! 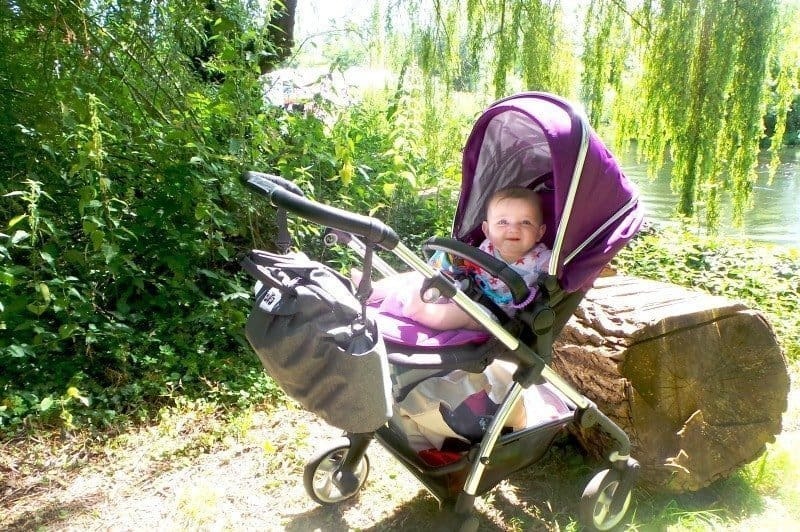 As the weather has been truly fabulous we have been enjoying getting out more and we’ve finally made the move over to the pushchair seat on her Silver Cross Wayfarer and she is loving being able to see out into the world as well as have reassuring smiles from me every now and again. We’ve gotten into a good routine with naps and bedtime, although we are struggling to get her to settle in her cot so we are still using the Silver Cross Nostalgia Crib which she happily fits into with plenty of space around her so I’m not too concerned. I’m sure she just likes the cosy sleeping area, and it must be strange for her as it is all she has ever known so a big cot must feel as though she is sleeping in the middle of nowhere. Although she is my third child, she is still teaching me new things about being a Mummy so we are very much on a learning curve together. I’m so glad to read you’re enjoying the journey. Piglet is an absolute delight- those eyes!! Isn’t it scary how fast our babies grow? My youngest is 17months now, and I’m not quite sure how that happened! My eldest starts school I’m September!! Posts like this are a gentle reminder to enjoy the small things now. Thank you .